Whether you been in an auto collision or have sun damaged paint on your car. You can get back its luster with a new paint job from Pomona Body and Paint. So what is auto paint work ? Automotive Paint Work is a procedure that fixes a damaged vehicle to its original condition. The Auto Body Repair requires repairing and properly matching the paint on vehicle bodies, strengthening vehicle frames, and understanding mechanical, electrical and electronic systems. Some of the requirements used in Auto Body Repair are automotive body construction, tools, shop safety, sheet metal repair, welding, repair materials, frame straightening, painting, adjusting body panels and refinishing, and estimating the cost. 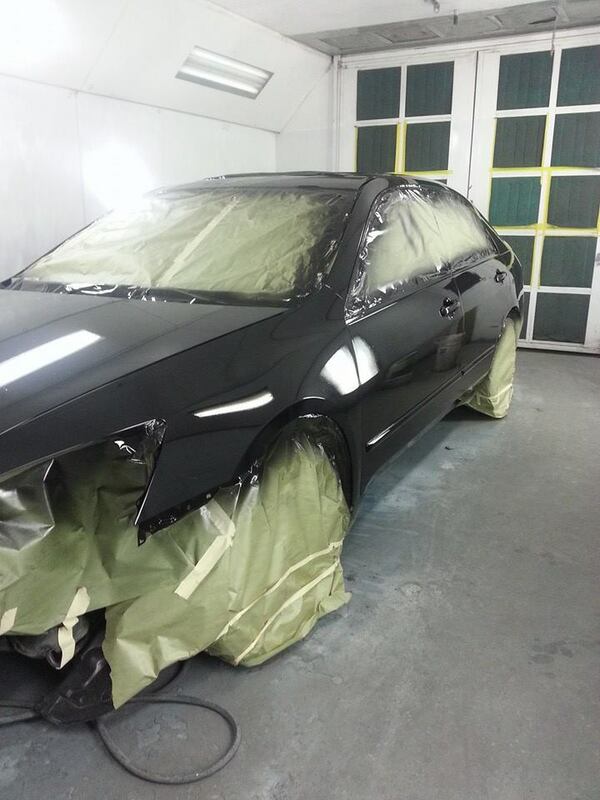 At Pomona Body and Paint we take pride in our automotive paint work and your satisfaction is our main concern. We have multiple paint booths, computers to match factory paints, ready to spray kits and other necessary equipment to get the job done. We specialize in most makes and models. And also do fleets for companies and rigs. Pomona Body and Paint give us a try!